$2 trillion is what is expected to be spent clearing out after hackers. Data breaches could cost the global economy a lot of money by 2019 according to research carried out by Juniper. In its "Future of Cybercrime and Security" report, the analyst firm claimed that up to $2.1 trillion could be spent to clear out the mess caused by cyber-criminality. $2.1 trillion (around £1.35 trillion, or AU$2.6 trillion) is about four times the estimated damage that data breaches will cost in 2015, roughly equivalent to the GDP of Russia or 2.2% of the world's GDP in 2019. Each cybercrime attack carries a $6 million (around £3.8 million, or AU$7.5 million) bill on average according to the research, that translates into about 83,000 attacks for the current year or just over 228 every day. The report revealed that the cost is likely to be shouldered mostly by SMBs as they don't always have the necessary resources to respond. "The cost of cybercrime is disproportionately heavy on smaller businesses. 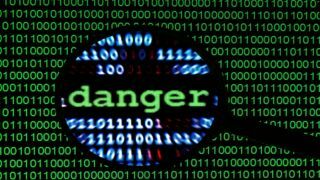 Larger organisations are more likely to be able to weather the resultant costs from a large scale data breach," the authors noted, before warning that cyber-criminality is moving away from its amateur roots to become a more professional endeavour. Can businesses stick with Windows XP and still avoid a hacking disaster?